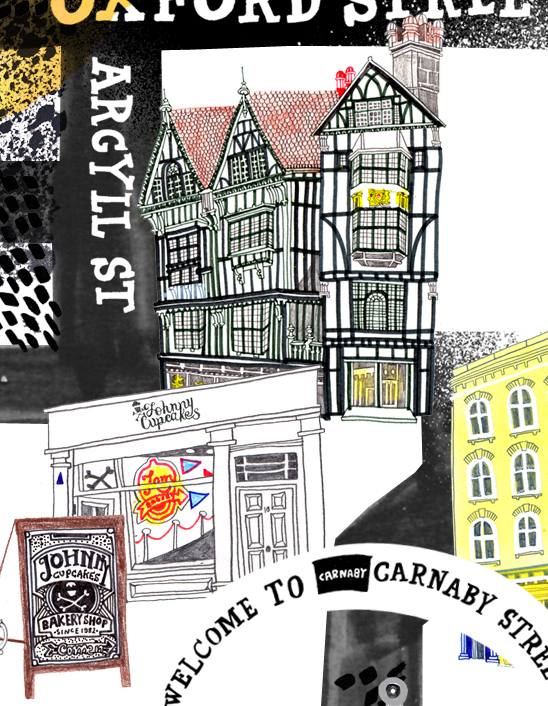 I was asked to illustrate this map for GQ magazine – Carnaby Style Night! 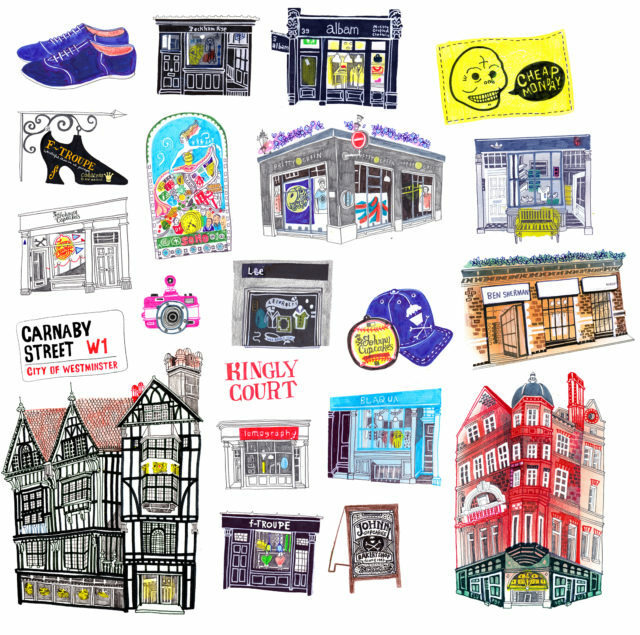 On Thursday 13 September, 5 – 9pm enjoy 20% discount in over 100 shops, restaurants and bars in the capital’s coolest shopping destination, along with live music, complimentary drinks and free activities at the Carnaby Style Night. My work will also be made in to posters around the area nearer the time!